With the majority of agencies headed for a hybrid cloud environment1, Federal IT managers must find a bridge between today’s aging infrastructures and tomorrow’s cloud future. And despite endless mandates pushing modernization, fears around change and a loss of control have stifled Feds’ progress. 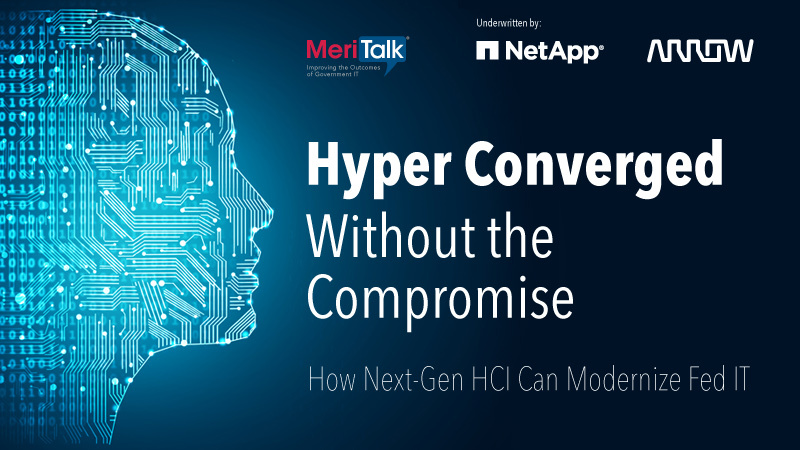 However, Feds say next-generation hyper converged infrastructures (HCIs) may be the missing link. Agencies like GSA see HCIs as a way to simplify and streamline on-premises IT services while enabling a wide variety of cloud options. And recent advancements in performance, flexibility, and automation position next-generation HCI solutions at the front of the pack.